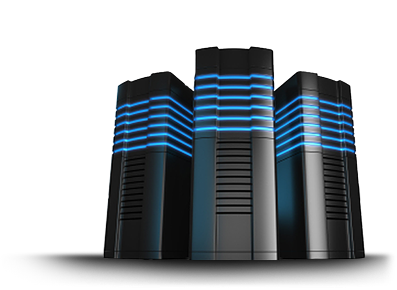 The focus of the company is to build turnkey data centers for our customers. We pay particular attention to working for it, as it demands much work on design, supply and installation of the equipment. Customers receive a complete solution constructed in accordance with international standards of Data Centre design and construction and GOST RK. Customer engineers can keep track of any actions and changes in the data center, monitor and control all data center systems remotely, reducing operating costs and the risks associated with the "human factor". The construction of such important information repository as the data center should be trusted to the best and experienced only. Failure in either design or management can lead to unrecoverable errors. Gain Technology is a company that takes care of all relevant aspects of the data center and develops optimal solutions that fully satisfy customers' requirements. To ensure a long and trouble-free operation of all installed electronic devices in the premises of the data centers, high concentration of equipment requires strict compliance with the conditions of their use. The most important is to keep power supply stable and maintain the required microclimate, i.e. temperature and humidity conditions within hardware proximity. Any equipment consisting of complex electronic circuits holds high demands according the environmental parameters. This includes computers, telecommunication systems, instrumentation, uninterruptible power suppliers and other similar appliance. Our company cooperates with major manufacturers of such equipment: STULZ, Emerson, Liebert Hirros, Rittal, UniFlair. 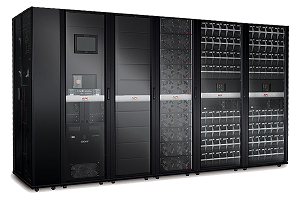 As a result, we offer an optimal solution for climate control in the premises of data centers. 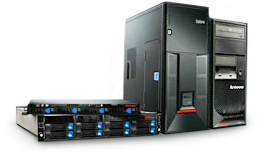 To ensure uninterrupted power supply of data centers, our experts use modern and powerful UPS with different facilities which depend on the size of the data center and its power consumption. Commonly used uninterruptible power supply is made by double-conversion technology (online). 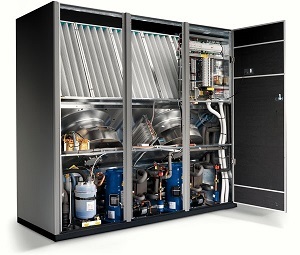 UPS are easily combined with diesel-generator sets, which are an integral part of the power supply system of the modern data center. Our experts will design fault tolerance (Tier) according to any request. The right choice of the UPS and the correct calculation of the energy consumption is the key to successful budget savings and subsequent return on capital expended. Our team has a wealth of experience in partnership with leading global manufacturers of UPS, such as: Shneider Electric, APC, EATON, Emerson, Visa. Faraday Cage is a construction used to screen directed electromagnetic radiation. The purpose of this construction is to create a secure loop to prevent leakage of important data processed in the data centers. Proper design of the cage allows avoiding huge costs in the case of information leakage. Our company also offers solutions for building structured cabling systems. Materials and components from leading manufacturers such as Siemon, Legrand, Eurolan, Panduit, Cablofil, AMP, 3M, DKC, Mutlusan, OBO Bettermann, SHAFER, Linkbasic and many other vendors allow you to build structured cabling systems of any size, from small offices to large industrial complexes. Engineers and assemblers of our company have enormous experience in the construction of the SCS of any complexity. 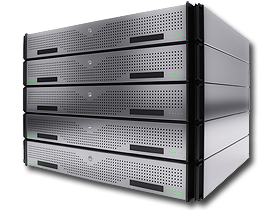 Our company offers our customers a great variety of server solutions from leading manufacturers such as HP, Cisco Systems, Fujitsu, IBM, DELL and SUN Microsystems. Solutions depend on many parameters, including functional characteristics and price criterion. As for the accompanying software, our company offers a variety of operating systems, software for virtualizing and monitoring of processes. As a partner of AVAYA and Zyxel, our company offers solutions for building unified communications, including joint work and audio and video information sharing, the construction of IP telephony and video conferencing. It is worth noting, the variety of options and solutions AVAYA and Zyxel offers on building call centers (CC). EAI allows you to integrate telephone network with CRM systems and knowledge bases, to minimize the loss of circulation of each customer and to improve customer service, to provide customer service by not only phone but also use SMS, e-mail and the Web. Releases the proportion of resources through the use of call centers operators automatic warning system (IVR) to service standard situations. Call centers enable our clients to integrate telephone networks with CRM systems and knowledge bases, to minimize the loss of circulation of each customer and to improve the quality of services. We handle clients’ requests by not only phone but also SMS, e-mail and the Web. Thus, the proportion of resources is economized by using of call centers. Initial approach to thinking through the entire telecommunications and IT infrastructure as a whole is very important. It improves the development of the data center infrastructure in relation to overall development strategy and optimize your investments. Nowadays, manufacturers offer a variety of solutions for the construction of data centers. Our specialists will help you to find the abundance of solutions and choose the best one for your business. 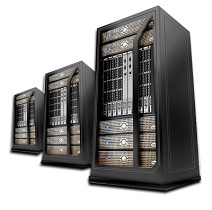 We are ready to design and implement primary and backup data centers. By choosing Gain Technology, you can get high-quality solution, a flexible and reliable partner who has extensive experience in the creation of large-scale projects.